Beautifully written, in a distinctive voice, Heartland combines personal narrative with powerful analysis and cultural commentary, challengingthe myths about people thought to be less because they earn less. 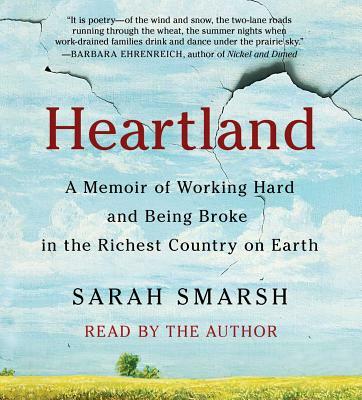 “Heartland is one of a growing number of important works—including Matthew Desmond’s Evicted and Amy Goldstein’s Janesville—that together merit their own section in nonfiction aisles across the country: America’s postindustrial decline...Smarsh shows how the false promise of the ‘American dream’ was used to subjugate the poor. It’s a powerful mantra” *(The New York Times Book Review).